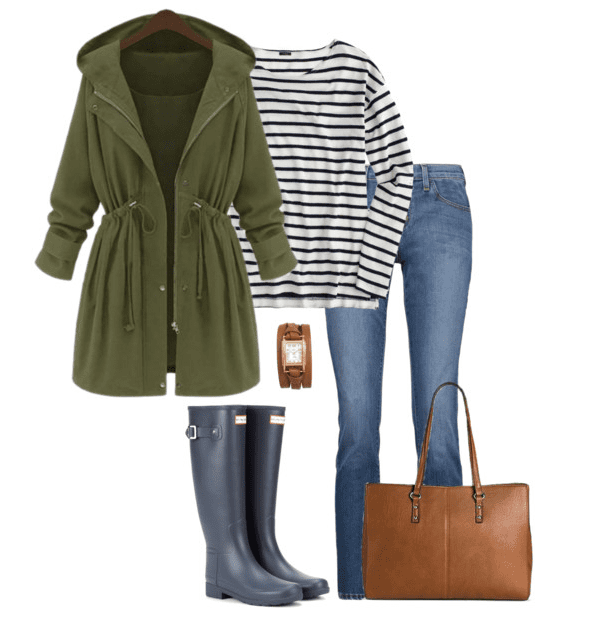 No matter if it’s raining or snowing, these Hunter boots outfit ideas will keep you warm, dry and stylish. Sidenote: Once you’re done reading this, be sure to check out how you can receive these free 18 outfit ideas that can help you get dressed with confidence. Just Click Here. The hardest part about choosing your pair of Hunter Boots is deciding what color you’re going to go with. There’s red, green, blue, black, etc, plus shiny and matte. 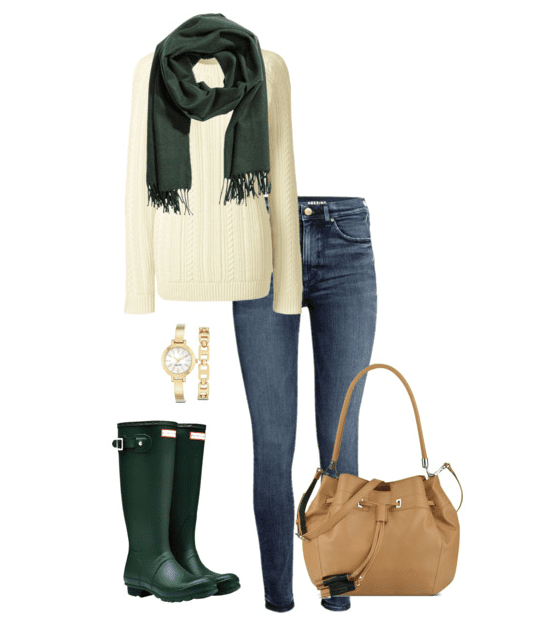 Here are four outfit ideas featuring four different colors of boots. If you enjoyed these outfit ideas, sign up for my weekly newsletter where you’ll receive a free outfit ideas freebie + exclusive content and more. It’s fun, I promise. Just Click Here and you’re in! i adore the colorful ones but ultimately went with black as my xmas gift…I just knew it wuld go with EVERYTHING and I ADORE all black…but gosh that dark green is FAB! I used to feel the same way but I bought a pair of Hunter boots after having heavy knock offs and I’m never going back. I LOVE them!! Great looks!! I wasn’t even sure what the big deal was with owning rain boots at all was until I owned a pair. Now I’m slightly obsessed! 🙂 Thanks Vicky! I love rain boots especially comfy ones, I have had my eye on a pair of red Hunter’s for awhile, I need to just get them! Great outfit ideas! The red ones would look so good on you! So awesome! I’ve been contemplating a pair of Hunters. Thanks for the outfit ideas!